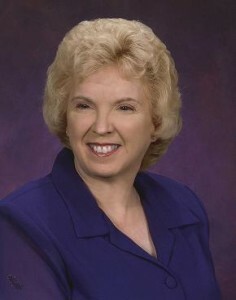 Evangelist Marilyn Weeks has been in ministry for over 40 years which has entailed ministering God’s Word in preaching, teaching, music, seminars, prayer conferences, community revivals, camp meetings, and various other gatherings on the local, regional, state, national and international levels. With 24 years of co-pastoral experience there is an understanding of the hearts of pastors and their spouses plus a sincere love for the people of God. For almost 10 years she has been totally dedicated to evangelism. She joined the state team in 2006. Her true concern for people and their relationship with God is what drives this ministry. Along with the preaching of the Word there is an altar experience that produces true change through God’s anointing. Many are healed, restored, saved, filled with the Holy Ghost, encouraged and divine direction given. Being real and available so that God can do through His people what He would like to is her true desire.